In the summer of 2002, thousands flocked to the banks of the River Usk in Newport, to see a piece of history. 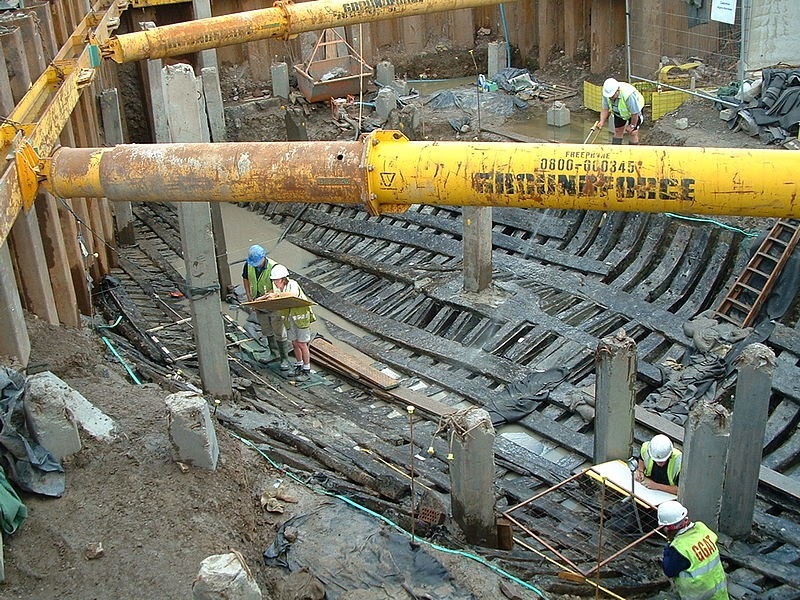 In the middle of a building site, the mud had been cleared to reveal the 500-year-old remains of a trading ship. Built in 1447, it is the world's best preserved example of a 15th Century vessel. Nearly ten years after it was uncovered, archaeologists are still making new discoveries about life on board. They hope that in the next decade the ship will be rebuilt and put on display in its own museum. Charles Ferris, from the Friends of the Newport Ship group, remembers the excitement as news of the discovery spread. "It was amazing, it was absolutely palpable. I often think the Newport ship floats on a sea of goodwill," he said. "The Newport public did us proud and came out to support her in their thousands. People used to queue for two to three hours just to see her." The timbers were uncovered during work to build the Riverfront Theatre and Arts Centre. After a campaign to ensure it was preserved, the ship was moved timber by timber to an industrial unit nearby.